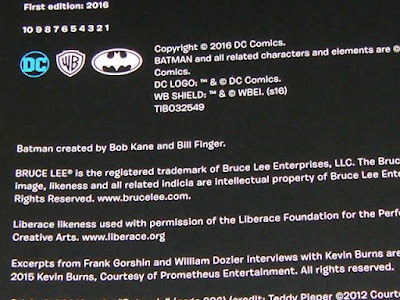 Noblemania: Batman credit line changed from "with Bill Finger" to "and Bill Finger"
Batman credit line changed from "with Bill Finger" to "and Bill Finger"
At least as far back as December 2016, in snuck a change that only a certain elite would notice, a change at once startling and straightforward. 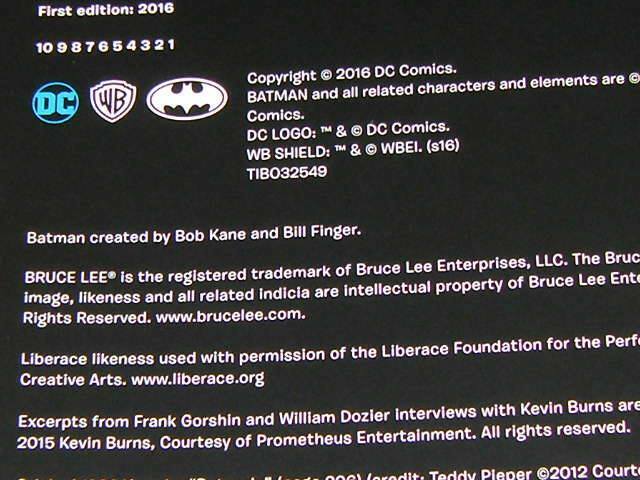 When the "Batman created by Bob Kane" credit was changed in October 2015, it read "Batman created by Bob Kane WITH Bill Finger." 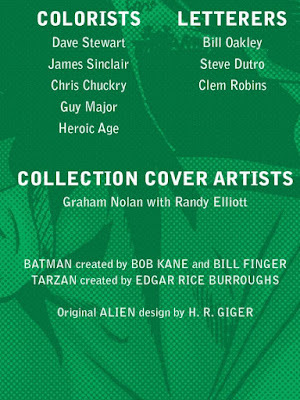 As you can see above, these publications and films list the Batman credit as "Bob Kane AND Bill Finger" [emphasis mine, wish come true many]. The first time I came upon this, I assumed it was simply an inadvertent, isolated break from protocol. But now that there have been multiple sightings, it seems that this is instead the CORRECTED version of the corrected credit. Once is a fluke. Thrice is a new normal. That said, I have not yet seen it in monthly comics nor was it in the most recent first-run episode of Gotham ("Mad City: The Gentle Art of Making Enemies," aired 1/30/17). But unless we learn otherwise, I will presume that it is being rolled out across the board. ...but yeah, "and" beats "with," big time. Ironically, that last example credits "Graham Nolan WITH Randy Eliott". It always seemed like apples and oranges, but the use of "and" puts it in line with other creative teams, so it's more familiar. But "and" gives Bob More credit than HE is due. It always bugged me that "with Bill Finger" was DC's way of making up for years of neglecting Bill's significant creative involvement in developing Batman. I watched Batman and Bill last night for the first time and when I saw how they finally added him to the credits at the end of the film, I thought it was a little anti-climactic. 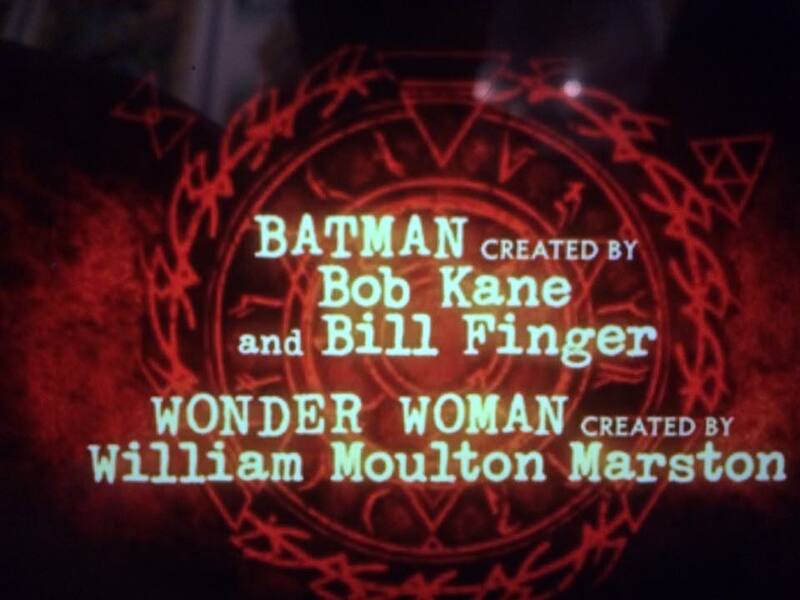 I thought for sure the Finger family would respond by requesting more proper wording in the credits. Well, it looks like they did just that. It finally puts Bill on equal footing (even though he really deserved more than Bob). Marc, thank you for your hard work on making all this happen! You are amazing! Bill, you finally got the true credit you deserve!